* Downloading online Spring movies 2015 from YouTube, Facebook, DailyMotion, etc would be the best bet for new films watching, with no restriction of network (speed and stability) at all, and there are some genuine free YouTube downloader software to be had, such as WinX YouTube Downloader. Easily download any popular full films in Q1 2015 or best Spring movies from YouTube for free in your preferred resolution, 4K UHD/1080P/720P with the best free 2015 online movie video downloader! 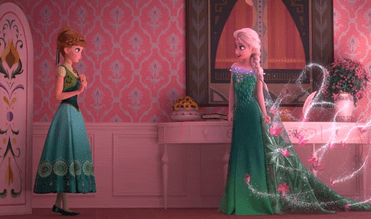 Reviews: "Frozen Fever" is a viral infection too awesome to avoid! Despite being a short film in only 8 minutes, Frozen Fever (not Frozen 2) is deemed as one of the best Spring films in 2015, with heartwarming birthday celebrating plot around the characters of Disny hit Frozen (2013). Jupiter Ascending is taken as a must-see movie of 2015 Q1 because of its top notch special visual effects, as well as fantastic action scenes. 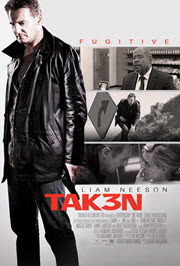 Taken 3, the newest one of Taken series, should be listed on your best films in Q1 2015, for it is packed with solid action scenes and amazing thrill storyline. Among all the popular films in Q1 2015, some of them have already come out on DVDs, such as Taken 3, Paddington, etc. If you have already bought or plan to rent/purchase the DVD of those 2015 new movies, rip and backup DVD with the best DVD ripper software [compatible with Windows 10]. Rip and backup any 2015 new movie DVDs to AVI, MP4/H.264, WMV, FLV or iPhone, iPad, Apple TV, Samsung, HTC, Xbox, PSP, Chromecast, Roku and USB supported videos with - WinX DVD Ripper Platinum!